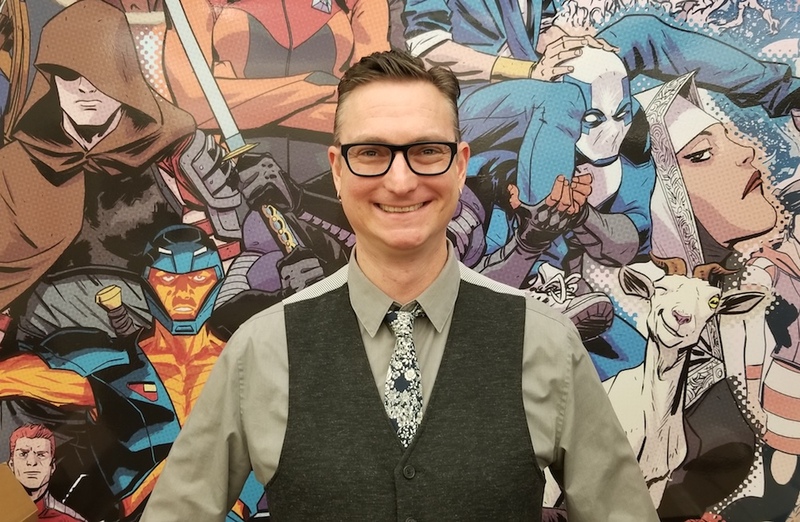 New York, NY (April 17, 2018) – Valiant Entertainment is proud to announce that Managing Editor Robert Meyers has been promoted to Editorial Director, effective immediately. The news comes on the heels of the announcement of Joe Illidge joining as Executive Editor, and is part of an effort by the publisher to strengthen its editing team of Editor Karl Bollers and Editorial Assistants Benjamin Peterson and David Menchel. Meyers first joined Valiant in 2013 as Operations Coordinator, and was named Managing Editor in 2016. Over the past two years, he was integral in the critically acclaimed launches of X-O MANOWAR (2017), NINJA-K, and SHADOWMAN (2018). Meyers holds a B.A. in Communications from University of California, San Diego; an M.A. in Media Studies, with a Certificate in Media Management from The New School. Meyers will play an increased role in helping to shape the company’s publishing plan going forward, in addition to his editorial and operations responsibilities, which include, developing and editing new projects, creator outreach and recruitment, and working closely with the Sales and Marketing teams. “I am honored every day to be able to work with our incredible roster of talented creators. I am excited about continuing to grow and develop our creative team, bringing new talent and voices to our universe, and can’t wait to show the world what we have in the works for 2019 and beyond,” added Meyers.